Large - Wide Format Custom Digital Printing up to 10 feet wide with NO SEAMS! 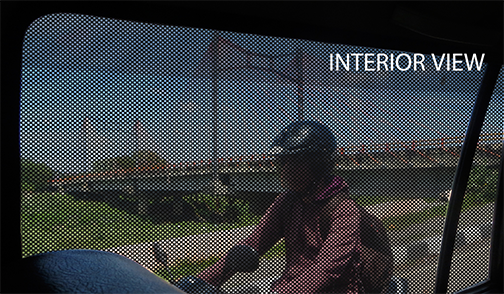 Adhesive Window Perf is a white perforated film with a black adhesive backing. It has perforated 60% printable area and 40% open area. It offers graphics on one side and a clear, unobstructed view from the other side. 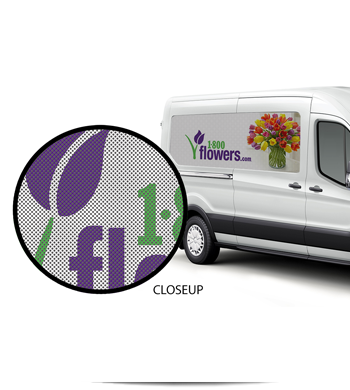 Window Perf is perfect for advertising on vehicle windows and storefront windows. For file preparation questions visit our F.A.Q. page. Choose the options for your product. Your price change based on your choices.